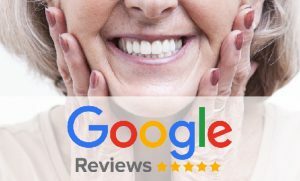 Would you write a review of your experience with us on Google, Yelp! and Facebook? Please help us explain our service in a way that we can’t do ourselves. Periodontitis Disease can sound pretty intimidating and it can be. But how can you get it, where does it come from, and how does it affect your health? Periodontal is also known as gum disease. Gingivitis is the beginning stage of Periodontitis. It occurs when inflammation and irritation of the gum that surround the base of your teeth. If gingivitis is left un-cared for; as in performing good oral hygiene, it will lead to Periodontitis. Bacteria in the dental plaque cause inflammation of the gums, therefore affecting the tissue and bones of the teeth. It can lead to the formation of spaces and pockets between teeth and gums. At what age can it start? Most researchers found that 30% of the population may have genetically inherited Periodontal Disease. The most common ages that it starts are between 20 – 64 years of age. If left untreated, Periodontal can not only cause tooth loss due to bacteria growth destroying the tissue that surrounds your teeth, but it can also affect your general health. Bacteria living in your gums can escalate to converting into infections that travel into your bloodstream, causing the rest of your body to be affected. In most cases, researchers can have found a possible link between the bacteria in your gums to increase the risk of heart disease by clogging the arteries. Other connections associated with gum disease are; diabetes, respiratory disease, and even heart strokes. How do you prevent it? Good hygiene is the most crucial way to eliminate any risk leading to Periodontal Disease. Brushing and flossing are at the top of the list for oral hygiene. Gentle scrubbing in circles using an electronic toothbrush is a good way to remove plaque and message the gums. Flossing gets rid of food that is stuck between your teeth, reducing tooth decay. Also staying away from the use of tobacco, high levels of stress, and poor nutrition, as they contribute to gum disease. And most importantly regular visits to your dentist and deep teeth cleaning every 6 months or when recommended is extremely crucial to maintain the health and prevention of any gum related disease. Don’t let Gum Disease ruin your smile! Schedule an appointment with Dr. Carmichael today! 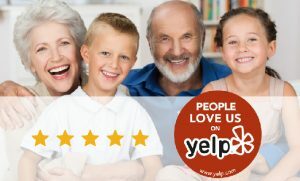 We take great pride in providing the dental health services our patients deserve. Dr. Carmichael always provides comprehensive treatment to achieve your optimal dental health. 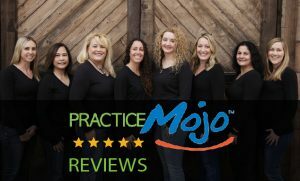 We want you to feel confident knowing our team of highly trained Doctor and staff pride themselves on delivering the best possible service and results.